JACKSONVILLE, Fla. — Tom Sermanni’s tenure as US women’s national team head coach started off in style. 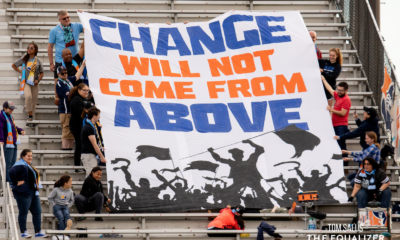 So did the team’s 2013 season. 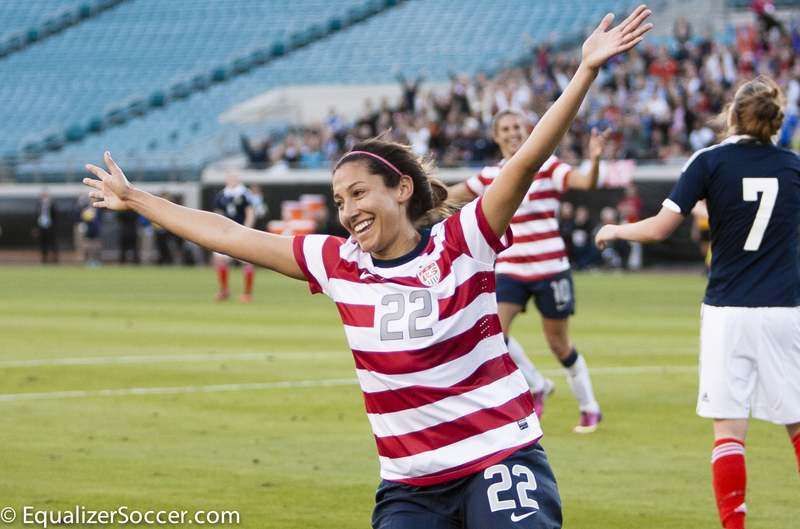 The US women kicked off 2013 with a 4-1 win over Scotland. Sermanni showed that he is not afraid to insert youth into the lineup, giving three players their first international caps with the senior team. Familiar faces also returned to the lineup Saturday night. Christen Press impressed in her senior team debut, scoring two goals in the opening 32 minutes. Sermanni spoke highly of Press’s week in camp leading up to the game. “She’s been outstanding all week in training and she brought that training performance into the game tonight,” he said. She is no stranger to playing around members of the US women’s national team. At Stanford, Press played alongside fellow national teammates Kelley O’Hara and Rachel Buehler (who was not on last night’s roster after arriving to camp late for family reasons), and Press’ first professional stint was with magicJack with the likes of Abby Wambach, Megan Rapinoe, Shannon Boxx, Becky Sauerbrunn, Jill Loyden, Hope Solo and Christie Rampone. She is currently playing in Sweden for Tyresö FF. In a chippy, physical game, Press gave fans the opportunity to start cheering early, scoring on her third shot of the game in the 13th minute. Press added her second of the night with a header off a Tobin Heath cross in the 32nd. Two other players in US women’s national team history have scored a brace in their international debuts: Cindy Parlow in 1996 and Sherrill Kester in 2000. The US controlled the pace in the first half, creating numerous opportunities. 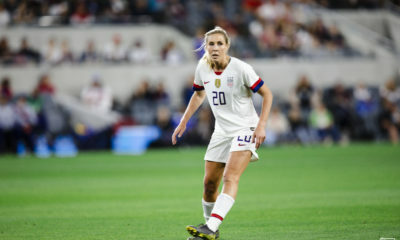 In the 38th minute, forward Alex Morgan was kicked in the left ankle and left the game moments later, not putting any weight on it leaving the field. Scottish defender Joanne Love was given a yellow card for the foul. US Soccer officially called it a “hard knock to the ankle” for Morgan and she was to be evaluated postgame. Her status is still unknown. Ali Krieger looked strong in her return from surgery on her right ACL and MCL just over one year ago to the day. The US defense has struggled at times over the past year and Krieger’s return helps solidify one spot on the backline. “This has been the toughest year of my life,” Krieger said. “With this injury and to be able to start 2013 with such an appearance and game is a great feeling.” Krieger played the entire 90 minutes. Throughout the game, both outside backs, Krieger on the right and converted forward O’Hara on the left, seemed comfortable attacking the flanks, causing problems for Scotland. In the 53rd minute, Shannon Boxx scored a beauty from 25 yards out. Boxx looked strong in the midfield all game, creating many chances for her team. For Scotland, Kim Little beat US goalkeeper Nicole Barnhart in the 54th minute to give Scotland their only goal of the night. Barnhart subbed in for Jill Loyden at halftime. Tonight’s game marked the second start of Loyden’s career; veteran goalkeeper Hope Solo was not rostered due to a calf strain. 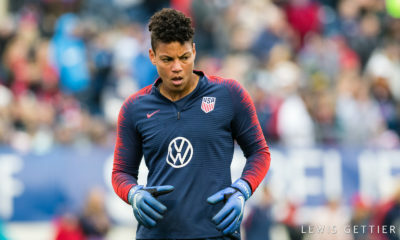 To finish off the scoring, Leroux added the US’ fourth in the 89th minute chipping the keeper, Yael Averbuch with the assist. For Averbuch, it was her first cap in over two years. The holding midfielder nailed the post in the 76th minute off a free kick from about 35 yards out. Aside from Press, Kristie Mewis and Julie Johnston earned their first caps for the US at the senior level, as well. Post-game, Press credited her teammates. “My team made it really easy, I’m thankful for them,” Press said. Talking about their experiences overseas in Sweden, Press and Averbuch mention being exposed to different styles of soccer attributing to shaping them as players. Sermanni jokingly stated that putting Press in the starting lineup was “a good selection by the coach.” I think most would agree.